In the last two years, energy management has taken a giant evolutionary leap. In the past, our engagement with energy usage followed a monthly cadence, leaving us with little opportunity to take action. Like looking in a rear-view mirror, our printed utility bill showed how much energy the entire home consumed in aggregate, but only for the month prior. Occasionally, this included some generalized energy efficiency tips and basic community comparisons. If the consumer decided to act upon the data provided, the impact was difficult to discern due to all of the factors affecting energy use between bills. In our always-on, always connected world, consumers expect real-time experiences where they can access information from anywhere. Rear-facing, month-old views of energy use are not enough to meet the needs of today’s consumer and not enough to truly change behavior. They want to be empowered to engage and control their energy, resulting in a new relationship with their energy provider. Through these relationships, utilities can engage customers further – providing a pathway where they can not only access real-time information, but also act in real-time. And, through these actions, utilities can drive more efficiency and reshape the customer relationship while reinventing the utility business model via new connected home solutions. This is a turning point for utilities. Down one path, utilities can stay the course, maintaining a traditional trajectory that leaves the customer largely disengaged without the ability to act. Alternatively, utilities can choose to transform energy into an experience that empowers customers and paves the path to broader smart home adoption benefitting all parties. One utility chose the former, moving from historical energy views to real-time, behavior-based energy management, and then on to predictive smart-home energy management. Their evolution is an example of what is happening across our industry in response to converging market trends, showing that the question is not if utilities will change, but when. Based in Detroit, DTE Energy is no stranger to using innovation to engage its customers. DTE serves 2.2 million electric customers across southeastern Michigan and offer the most energy efficiency programs in the state. In 2014, the utility launched a new home energy management solution, DTE Insight app, to help customers manage their energy usage — in real-time. To enable this level of energy transparency, a device called the Energy Bridge wirelessly connects to the home’s smart meter. The connection pushes data to the app and allows customers to track energy use throughout their home every minute of the day. This allows customers to better understand where energy is being consumed, and take specific actions to manage it based on their specific needs. With customized coaching and tips, customers can increase their home’s energy efficiency by up to 10%. The program took off quickly due to this immediate benefit for customers and has been downloaded by 150,000 households to date. Seeing an opportunity to leverage the platform for the benefit of other utilities, DTE launched Powerley to bring the technology to the market. Half utility and half tech startup, Powerley is now partnering with 13 utilities to launch the next generation of home energy management programs. To date, energy management has been largely isolated. Conversely, smart home experiences today are void of energy management. As a result, both utilities and consumers have adopted a host of point solutions, each disconnected from each other and each with their own specific task. However, when energy management and home automation are joined, a “closed loop” is created – one in which the value is greater than the sum of the parts. Because consumers can immediately identify where they are wasting energy and interact with the devices and appliances that are wasting it. Seeing an opportunity to bridge the gap between the smart home and the smart grid, Powerley has continued to evolve the original HEM platform –creating a unique solution that embeds energy management as part of a complete smart home experience. Together, DTE and Powerley are partnered to pilot this next generation of home energy management, where customers can not only view energy use in real-time, but they can also seamlessly control the smart devices, such as smart bulbs, switches, sensors, and thermostats, right in their homes. The pilot has proven that the combination of home automation and energy management can drive customer engagement and behavior. Compared to the successful DTE Insight program, pilot users are 18 times more engaged, which underscores the currently unmet customer need for a deeper relationship with their energy use. Consumers want their utility to provide much more than electricity. Studies show that 72% of consumers believe it’s important that their utility offers products and services that allow them to manage their energy, while 65% feel their utility should offer connected home solutions as well. Research has shown that consumers have a higher preference for their utility to offer smart home solutions than other providers – 1.5 times more than solutions offered from retailers, and double that of solutions offered by cable and communications companies. Utilities can carve out a strong position in the smart home space – using energy as a key differentiator against telecom, cable, and tech competitors. Customers have opened the door for a deeper relationship with their energy provider, and utilities just need to take the first step in. When electric utilities seize the opportunity, they not only drive energy efficiency and existing customer engagement, but they also open new revenue opportunities in the smart home space. While utilities such as DTE Energy have successfully deployed smart home energy management programs, many utilities have moved ahead with marketplaces, offering smart thermostats among other connected home products through e-commerce sites. The future we only imagined a few years ago is already here. Energy management is now being embedded into our smart homes. And, our utility is the one making it possible. Originally published on Utility Dive. Built together with utilities, Powerley is the first to integrate real-time Home Energy Management within a complete smart home solution. 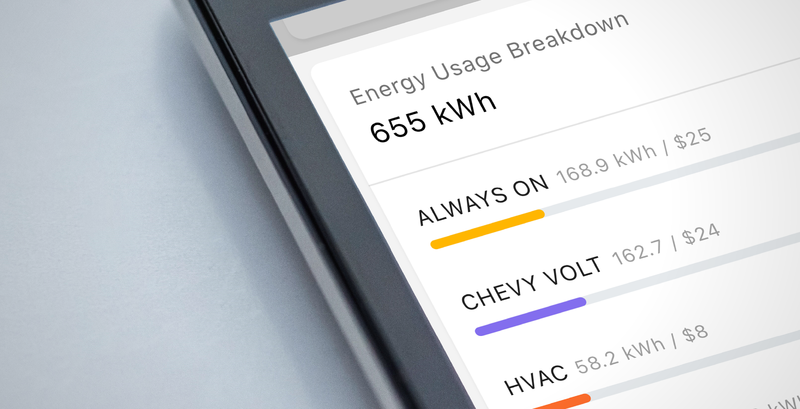 With a constant connection to the home's smart meter, Powerley enables utilities to provide real-time energy usage data and management for the whole home, along with every connected appliance and device.